Diana Ross is 75 today, March 26, and as she said herself recently, "Happy birthday to me!" "Reach Out and Touch (Somebody's Hand)" (1970) #20: How this all-time classic, her first-ever solo single, only hit #20 is beyond me. It's magic, still. "Ain't No Mountain High Enough" (1970) #1: Pole position is more like it for this orgiastic musical feat. "Reach Out I'll Be There" (1971) #29: Her slinky interpretation of this song shows off her ability to remake any song as her own. "Touch Me in the Morning" (1973) #1: Her second chart-topper as a solo artist followed her Academy Award nomination, reminding people of her singing chops and reintroducing her as a relevant '70s singer. "Touch me in the morning/And then just walk away," indeed. 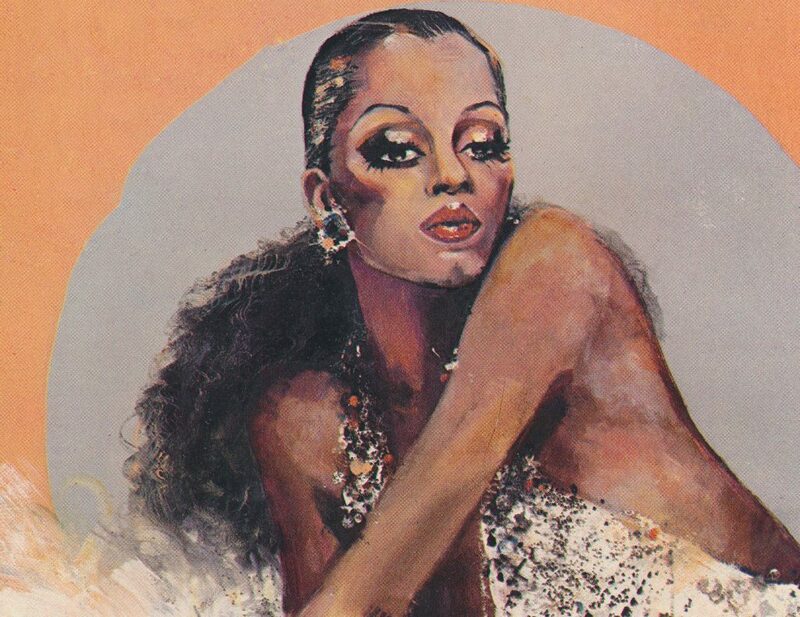 "Theme from Mahogany (Do You Know Where You're Going To)" (1975) #1: Insanely beautiful theme from Mahogany (1975), her inferior follow-up to Lady Sings the Blues (1972) was vastly more memorable than the film itself. Thelma Houston (b. 1946) sang it first! "Love Hangover" (1975) #1: Diana went disco with this track, and it launched her as a bona fide disco queen. "The Boss" (1979) #19: Though Bruce Springsteen (b. 1949) retains the title, Ross is still also affiliated with the phrase "the boss" due to this disco stomper. "Upside Down" (1980) #1: Disco was on its way out, but nobody told Diana, who rode it to its natural end with this hypnotic, Chic-fueled smash. "I'm Coming Out" (1980) #5: Following "Upside Down," this song made for Diana's greatest and gayest one-two punch ever. Anthemic! "It's My Turn" (1980) #9: A lovely theme from the Jill Clayburgh (1944-2010) issues-oriented rom-com of the same name), this single showcased Ross's vocal vulnernability. "Mirror, Mirror" (1982) #8: Ross was coasting, somewhat, with this slinky number that attempted to find its way in the post-disco pop era. "Work That Body" (1982) #44: This sounds like a Grace Jones (b. 1948) joint! It's a sizzler, and is plopped in a period of an aging (and yet ageless) Ross exploring sensuality in her music — and music videos. "Muscles" (1982) #10: With an assist from songwriter/backing vocalist Michael Jackson (1958-2009), Ross coos about lusting a man with a foin, foin physique in this unabashedly camp hit. "Pieces of Ice" (1983) #31: Ross was sounding more and more disconnected from the '80s production in this minor hit, which is still not without its minor pleasures. "Swept Away" (1984) #19: For my money, Ross's, last gasp at Top 40 relevance was this spectacular, passionate single — one of her best, a combination of Supremes, disco Diana and a dash of Central Park! Plus, the crazy video. "Missing You" (1984) #10: It's memorable, but maudlin — Ross's tribute to her past. It did snag her a final Top 10, and final Top 40 hit. That's right, nothing she's released has hit the Top 40 in the ensuing 35 years, boy. She was 40 years of age. "Eaten Alive" (1985) #77: Sure, this is crappy (and another MJ contribution), but it's kind of great-crappy, a joyous mess. I was shocked it bombed in the U.S., even if it sorta sounded like Diana singing a Michael song, like he was eating her alive. I include it because while his vocals are duet-prominent, it is not credited as a duet. "Chain Reaction" (1986) #95: Somehow, this adorable confection, a tribute to Motown with an irresistible video in which she looks and dances like she's 20, 30 and 40 in various set-ups, was a #1 smash in the U.K. (where her solo chart-toppers were in short supply), but barely hit the Hot 100 in the U.S. We should be livin' in shame over that fact! "Dirty Looks" (1987) #NA: This went nowhere fast, but soulful Diana is everything. Purrrfection. "Take Me Higher" (1995) #114: Okay, so this is a bit of a phoned-in club cash-in, but it's still a lot of fun. Latter-day guilty pleasure. Very enjoyable, thank you for your time.